AgentMile is the decentralized commercial real estate leasing platform powered by AI. 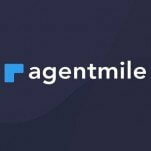 AgentMile will not only be the place to advertise and find commercial deals, but to also empower agents and brokers to utilize the technology for their own brokerages. AgentMile aims at leveraging blockchain technology to simplify core CRE processes and introduce tangible benefits for key parties during each stage of the leasing life cycle both in the short and long term. The AgentMile blockchain MLS will be a shared database where information is accurate and up-to-date. Blocks of data about brokers, landlords, tenants, property managers, credit and repair history, lease rates, etc. 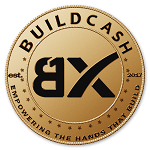 cannot be changed once they are added to the blockchain making it the most secure technology known today. At the same time, near real-time updates will ensure that property information is accurate and relevant at all times. Minimum amount of contribution is 1 Wei which is less than $1.